Naomii joined CAIS in 2009 as the senior caseworker for the Peer Mentoring Project. Although challenging at times, Naomii really enjoyed the role which involved working with a team of peer mentors and dealing with any issues that the peer mentoring clients had. 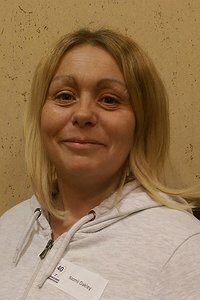 Naomii moved on to become the project manager for Recovery Coaching and Veterans' Services in North Wales, and now manages the Cyfle Cymru programme.